We opened the curtains to clear blue skies and sun pouring into our room which was such a contrast from the previous two days. After enjoying a leisurely hotel breakfast we took the metro to Anguk Station, Line 3, Exit 3 so that we could visit the two royal palaces located near there. 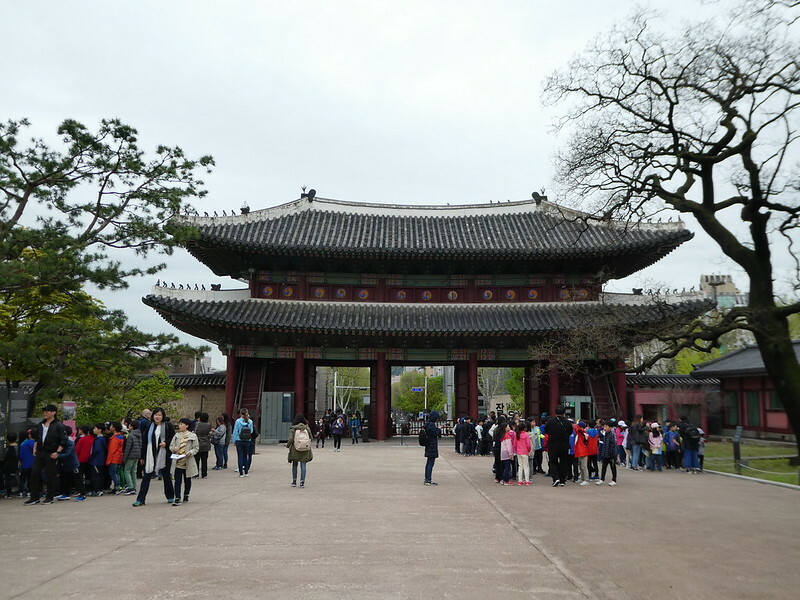 Soon we had arrived at the gates of Changdeokgung Palace, one of the five grand palaces built by the kings of the Joseon dynasty in the early 15th century. 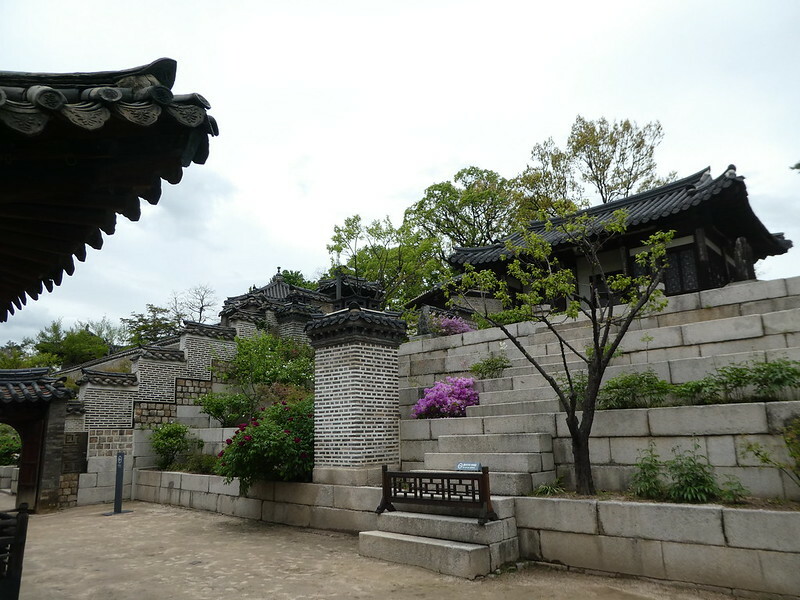 King Taejong ordered the construction of a new palace consisting of a number of residential and official buildings set in landscaped gardens. The palace has been a UNESCO world heritage site since 1997 as an exceptional example of far eastern palace architecture and design. Just outside the main entrance at Donhwamun Gate, we purchased books of combination tickets covering all four palaces, the Martyr’s Shrine and the Huwon Secret Garden costing 10,000 Won (£6.92). It’s definitely worthwhile as just visiting one palace and garden costs 8,000 Won, with tickets being valid for three months. Before leaving the U.K. we had also pre-booked a Secret Garden tour in English which can be reserved on-line up to six days in advance. These 90 minute tours can be arranged without a ticket by exchanging the printed voucher at the ticket office for the garden entrance ticket. Please note that admission to the Secret Garden is only by tour. It’s a good idea to pre-book as tickets are limited to 50 per tour with an additional 50 being available on the day. Depending on the season, there are between 3 – 4 English speaking tours each day. We had actually booked the last tour of the day at 3.30 p.m. as the long range weather forecast was predicting rain until early afternoon. Fortunately, we didn’t have any difficulty transferring to the 10.30 a.m. tour which fitted in better with our plans. 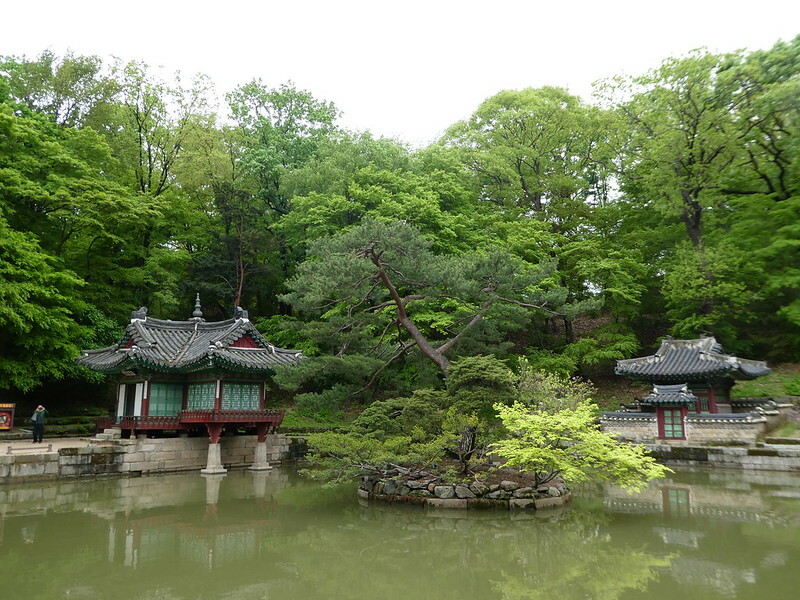 This exquisite garden located behind the Changdeokgung Palace covers 78 acres and was first constructed during the reign of King Taejong between 1400-1418 for the benefit of the royal family and the women of the palaces. It was called ‘Huwon’ meaning secret as it was not accessible to anyone else. 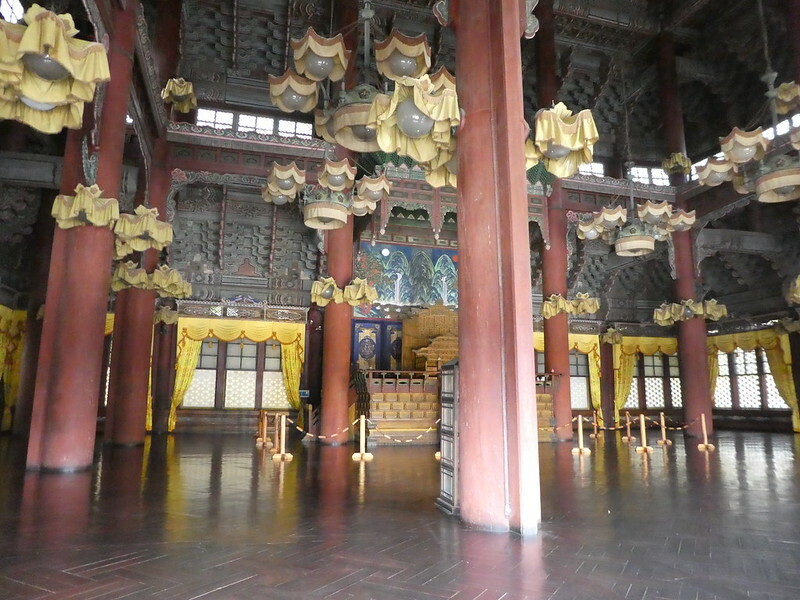 Many of its pavilions and buildings were destroyed by fire in 1592 during the Japanese invasion of Korea but were later restored to their present appearance. 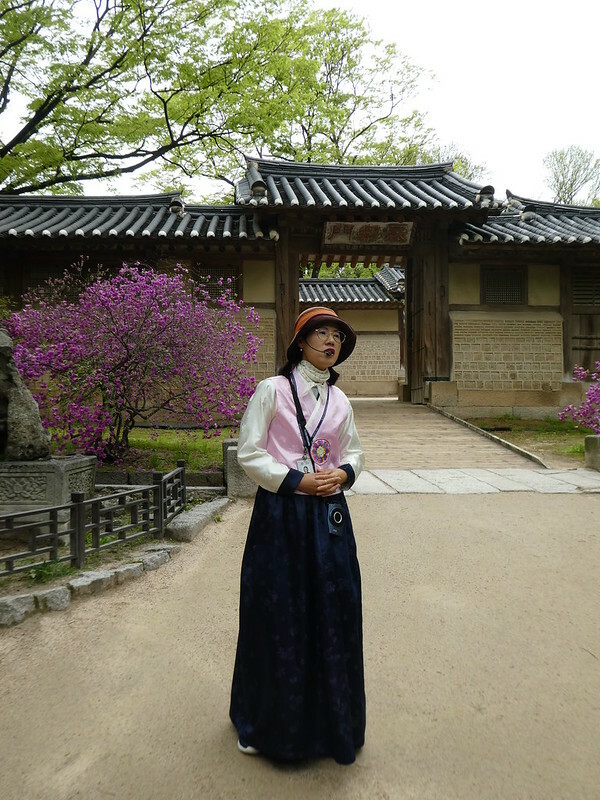 Our Korean guide, dressed in the traditional Hanbok costume was very informative, stopping frequently to allow ample time for photo opportunities. As she spoke using a microphone our group didn’t need to be too close as we were able to hear her commentary. The guided tour took us alongside manicured lawns, pavilions and the lotus pond. I would definitely recommend the tour as it gave us a better understanding of palace life and the structure of the garden. After one hour we had reached the furthest point on the tour which covered some steep uphill sections but was a relatively easy walk. From there, we were offered the opportunity to either return to the main gate with the guide or continue walking around the garden at our own pace. We decided to wander back on our own along the narrow paths which were a delight with flowering azaleas and vivid green foliage. The garden contains over a hundred different species of trees some of which are more than 300 years old. Leaving the tranquility of the gardens we explored the Changdeokgung Palace buildings which include two gates and three courts – the administrative, official and residential court at the rear. The wooden buildings have been carefully restored with their tiled roofs and decorative carvings taking us back to ancient times. Quite a number of visitors were wearing the traditional Hanbok costume which can be hired from numerous shops just outside the palace gates. Visitors who choose to wear the traditional dress are admitted free to all of the palaces included in our combination ticket. This seemed to be a good idea as it brought the palace to life, giving a hint of what life might have been like in those days. In contrast to the gardens, the palace grounds were quite busy with school groups and tours but as the grounds are spread across a wide area crowds soon dispersed. 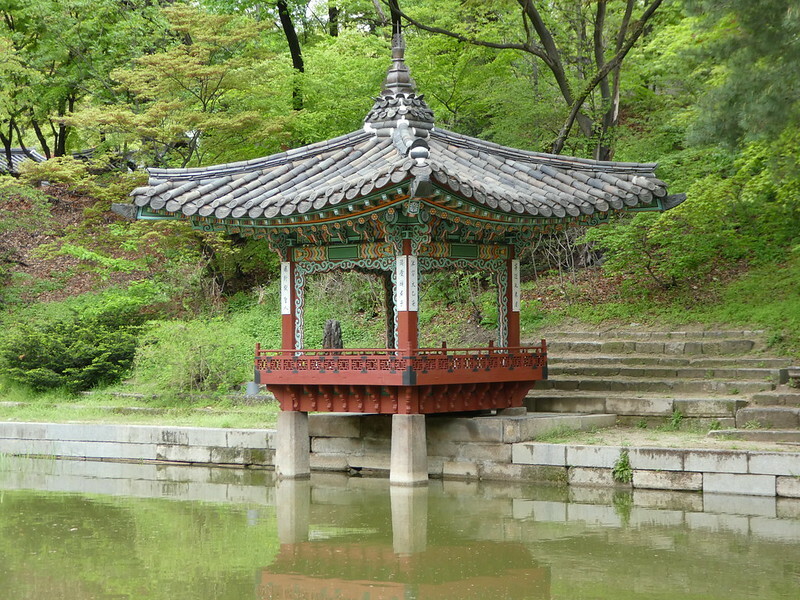 Located next to Changdeokgung Palace is Changgyeonggung Palace so it’s probably a good idea to visit both at the same time. This palace was the residential quarters for the queens, concubines and dowagers. Its large terraced garden is set on a wooded hillside and is beautifully landscaped. 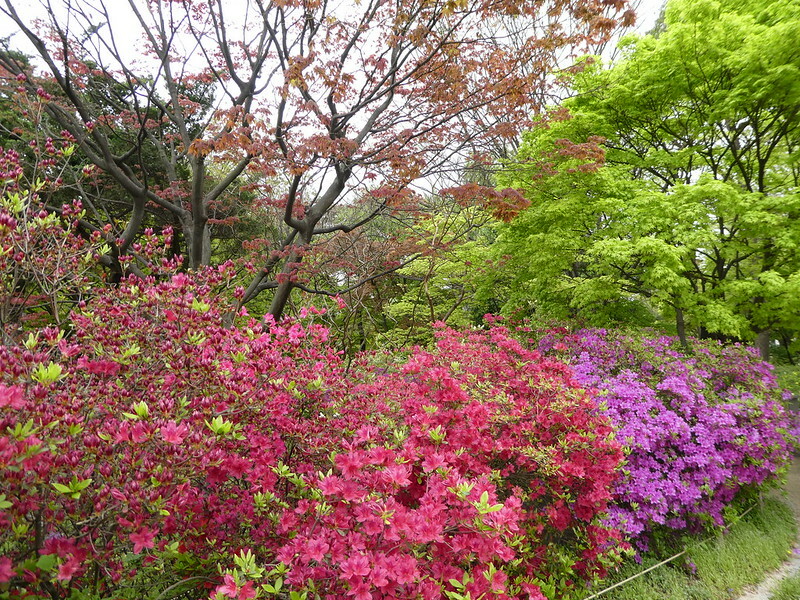 We followed a path around the lakeside which was a riot of colour with azaleas and Japanese maples at their best. A path took us to the botanical garden. 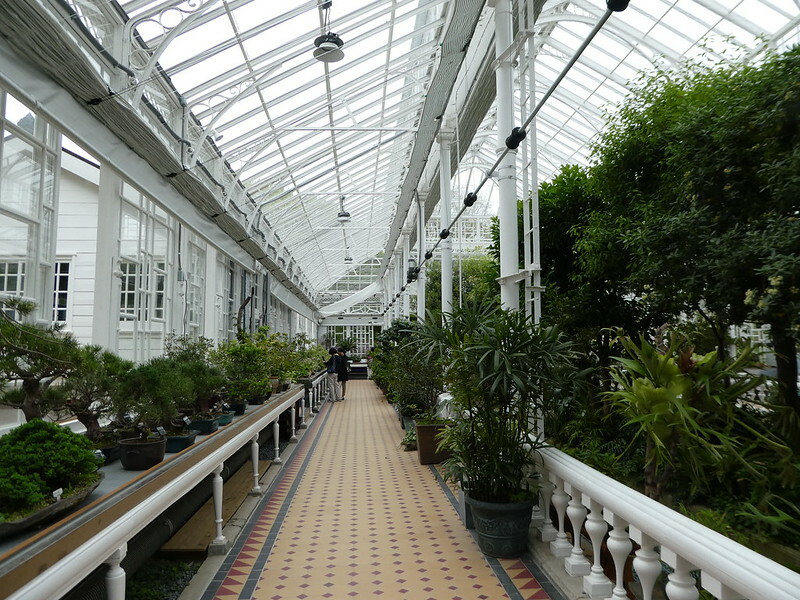 This glass greenhouse was constructed in 1907 and designed by a Japanese architect and is one of the largest and most impressive in the world. 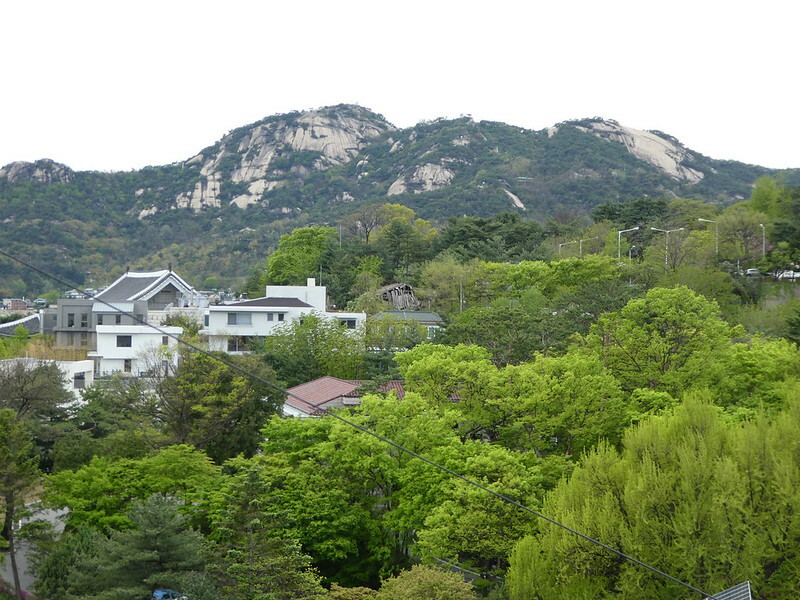 It contains rare plant species, wild flowers and plants native to Korea. All this walking had left us feeling thirsty so we popped into a small cafe not far from the palace gates and were surprised to find a display of Portmeirion Botanic Garden tableware behind the counter. I have had a large collection of this dating back to wedding gifts and use it daily. I knew it was still available but was astonished to find it in Seoul. 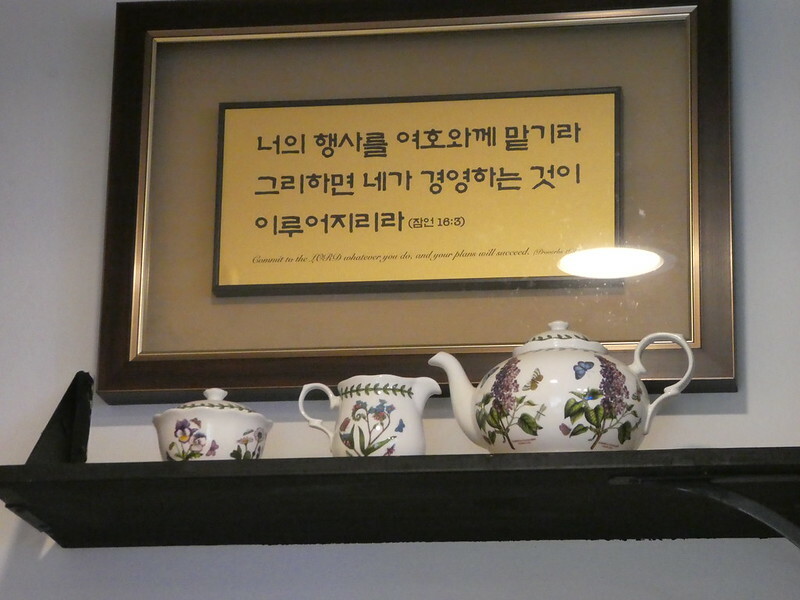 Researching on-line, I discovered that this range is extremely popular in South Korea and it is the third largest market for Portmeirion after the U.K. and U.S.
After our short rest we continued on foot to the Bukchon Hanok Village a 600 year old Korean village. 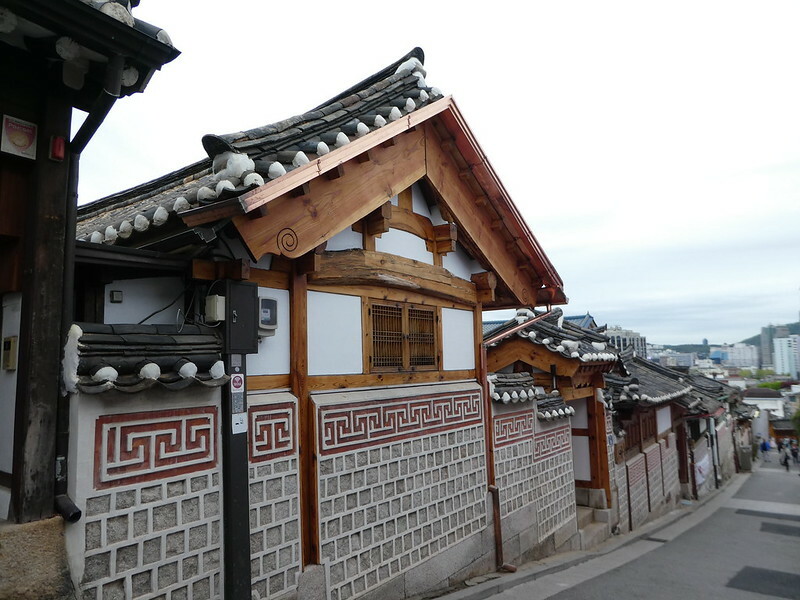 The steep, narrow streets are home to hundreds of traditional houses dating back to the Joseon Dynasty. Some of these properties are now gift shops, guest houses and restaurants but the majority are private homes so visitors should respect their privacy whilst wandering around. From the highest point in the village we had some good views of the hills surrounding the city. 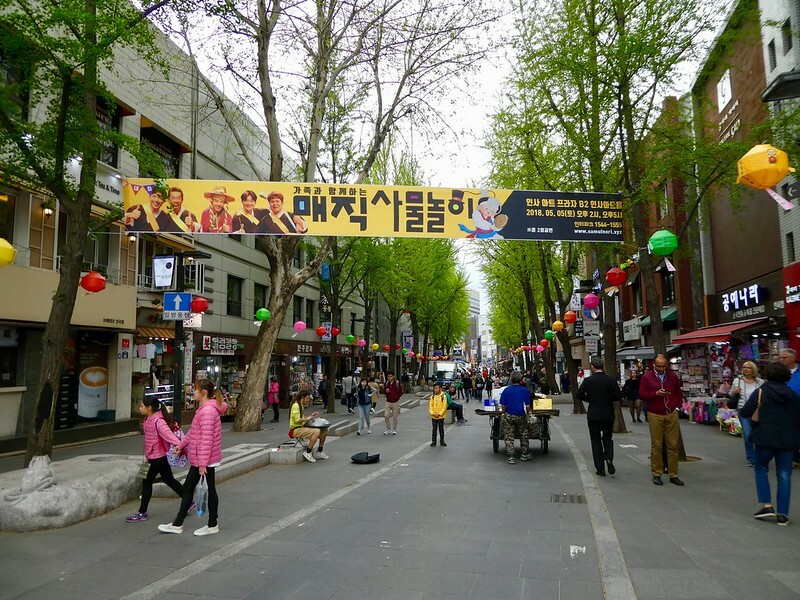 We then followed a path down a steep flight of steps to the main road and returned to Anguk metro station passing through the attractive Sancheongdong district. I particularly liked this neighbourhood with its small galleries, independent shops and cafes. Back at the hotel we enjoyed a well earned rest before eating dinner in a small restaurant just around the corner from our hotel. Our selection this evening was a success, we ordered Bibimbap which was brought to the table sizzling in hot stone pots and was served with a fried egg on top. Not knowing what to do, the waitress chopped the egg up for me, giving the contents a vigorous stir to demonstrate how it should be eaten. Side dishes of kimchi (fermented vegetables) accompanied our meal some of which were hot and spicy. After enjoying our meal, we strolled through the bustling neon lit streets of Myeongdong ending our day relaxing with cappuccinos before heading back to the hotel for the night. 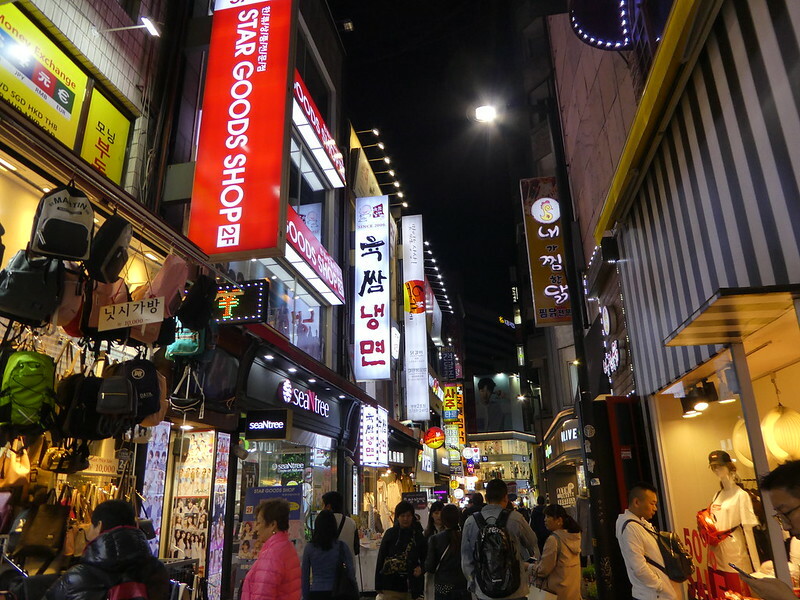 It’s so nice to read that you have enjoyed this post on Seoul. I do hope you get an opportunity to visit one day. Thank you for your nice comments, we really liked Korea and would like to return as well! I think you would enjoy a visit to Korea Kasia, it is a beautiful country with so much of interest to see and do. I’m starting to think so too! Thank you so much for your kind words. I do hope you have an opportunity to visit Korea and other parts of Asia before too long. Korean cuisine is fantastic! I love kimchi, i am missing it a lot… you are right guided tours are really nice way to get know better life of a place and let to understand cultural background. 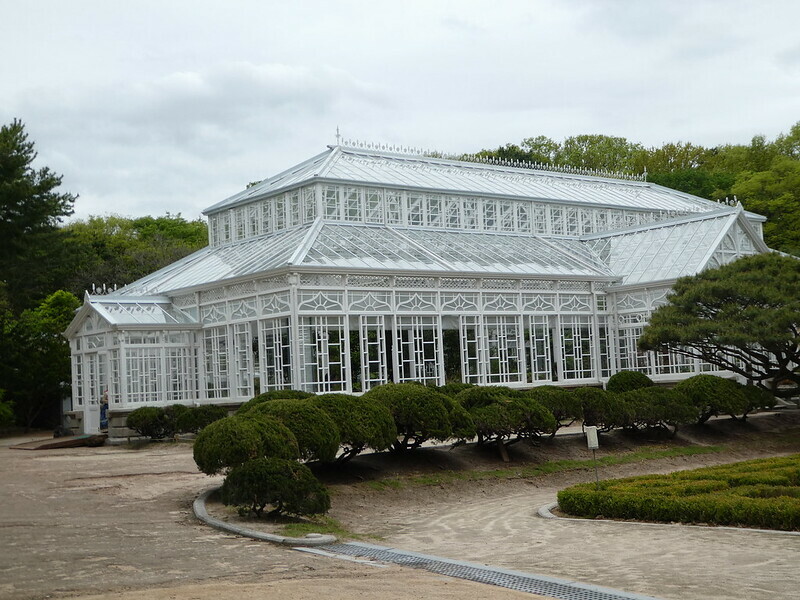 btw I cannot see picture of “Interior of the Botanic Garden, Changgyeonggung Palace” maybe it cannot be displayed on my phone hmm… I will check on my PC later on. 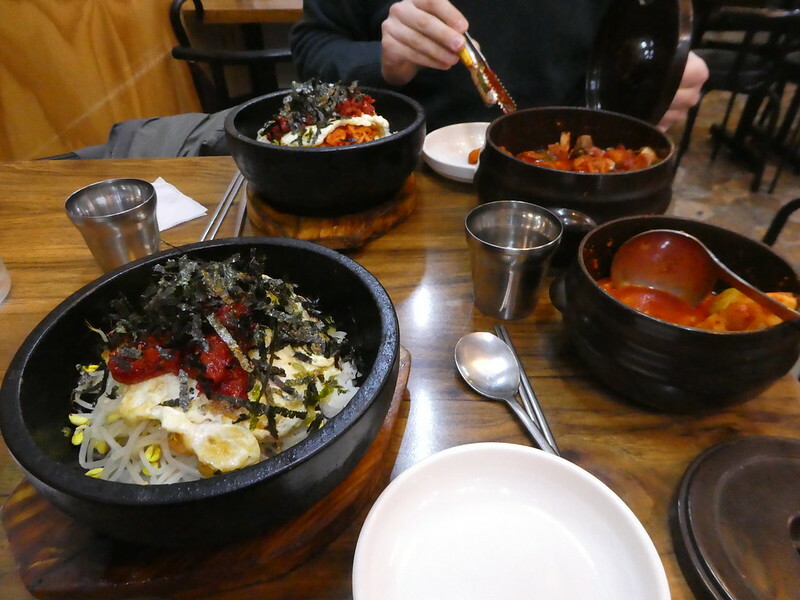 Thank you for your interesting thoughts on this post about kimchi and guided tours. I just checked on my PC and that photo appears OK so perhaps for some reason it’s taking a long time to open on your phone. Best wishes, M.
Looks amazing! Reminds me some of my visits to Japan to visit my brother when I was younger. Thank you for your kind words. I haven’t visited Japan but as it les so close I can imagine there are similarities. Thank you, the royal palaces and their gardens were so beautiful! 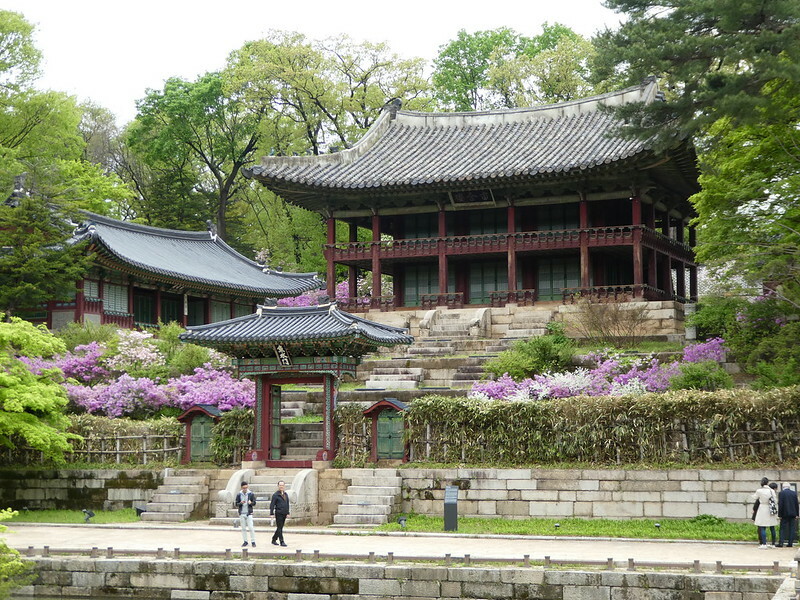 Seoul has so many beautiful parks and these two palaces were a delight. It’s good to read you enjoyed this post Jo. Some great tips and facts here Marion, lovely post as always. Thanks Sue, I hope you get an opportunity to return to Korea for a more leisurely trip sometime! I wish someone would build me a garden like that. Gorgeous. Yes, I would like it too Coral. Korea looks absolutely amazing, I would love to visit there someday! The pictures you took were amazing. Thank you for your kind words. It’s good to read that you are enjoying my posts on Korea and I hope you get a chance to visit sometime. Thank you Harry. It’s so nice to read that you are enjoying this series of posts on Korea. I had not considered South Korea as a vacation destination before seeing this series. You definitely make it an intriguing possibility! Beautiful photos and lots of great descriptions. Thank you for your kind words. South Korea is such a safe and beautiful country to explore. Perhaps by the end of the series I may have persuaded you to visit as I’m sure you would enjoy the country. Beautiful post (as always). The grounds are absolutely striking. Take care. B. Thank you for your kind remarks. It’s so pleasing to read that you are continuing to enjoy my posts. 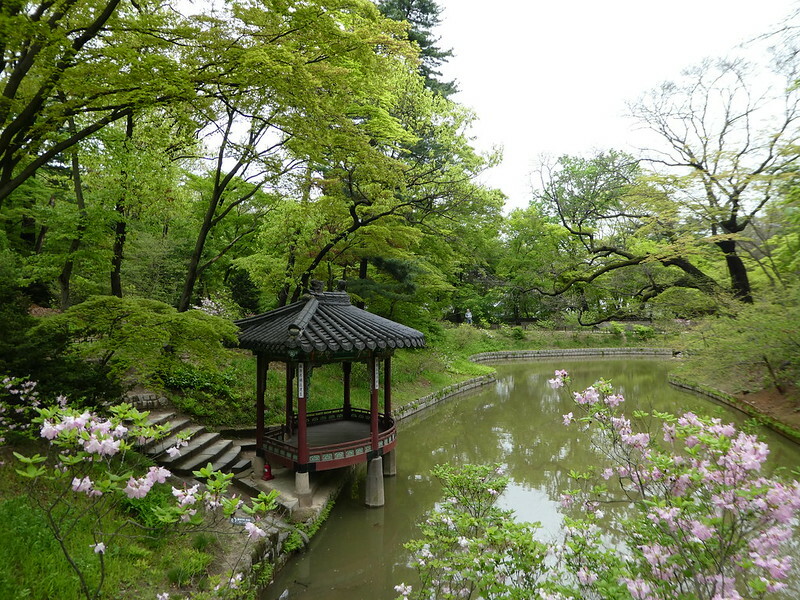 South Korea is beautiful and the palace gardens were indeed striking. Thank you, the palaces were absolutely beautiful! South Korea is a gorgeous country with friendly people, is very safe and has beautiful scenery. I hope you get a chance to visit soon. Thank you Tyas, we loved visiting these palaces and the gardens were so beautiful with the azaleas in bloom. Korea is so beautiful, the people artistic and very intelligent. They still have the work ethic that we in the West seem to be losing. I’ve watched from my guest room window as children head for their schools at about 6.30 am and university students coming back from Uni libraries at 9pm on a bus still trying to study in the dim light of the bus. It is a culture to be found in the Northern Asia countries as a common element to their respective cultures. While writing may be different between China, Korea and Japan you will find some Chinese characters have been retained here and there as I recall in Korea and Japan. Korea is absolutely beautiful and the people warm and friendly. It’s good that they still have the work ethic and that’s why big companies such as Samsung and Kia are so prominent in our lives.